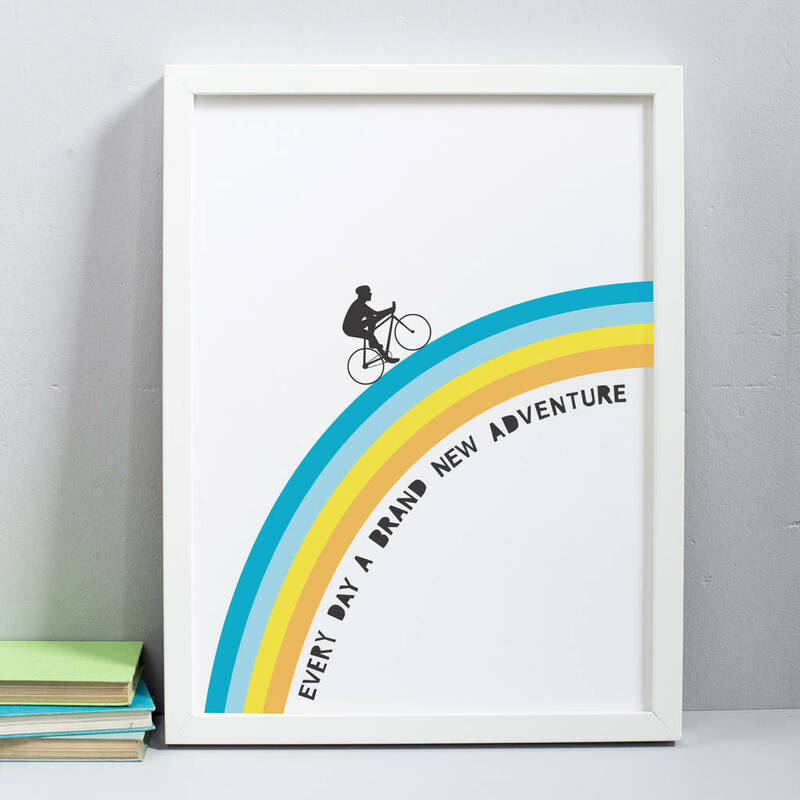 A wonderful print for anyone who loves to cycle! A stunning rainbow print with a wonderful message - "every day a brand new adventure'. 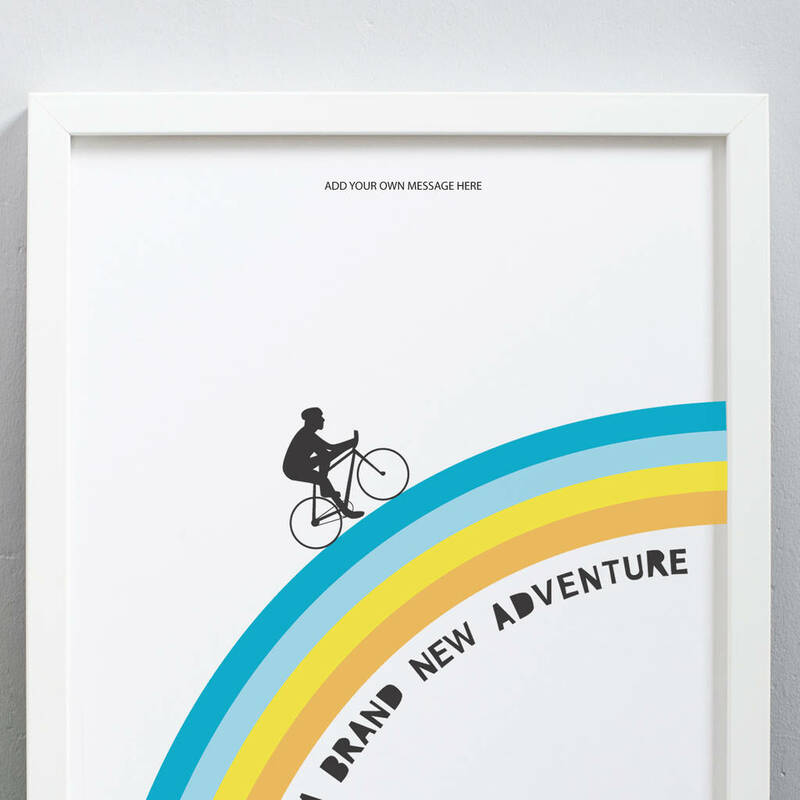 The high quality art print would look amazing hanging in any room and a wonderful gift to any cyclist! 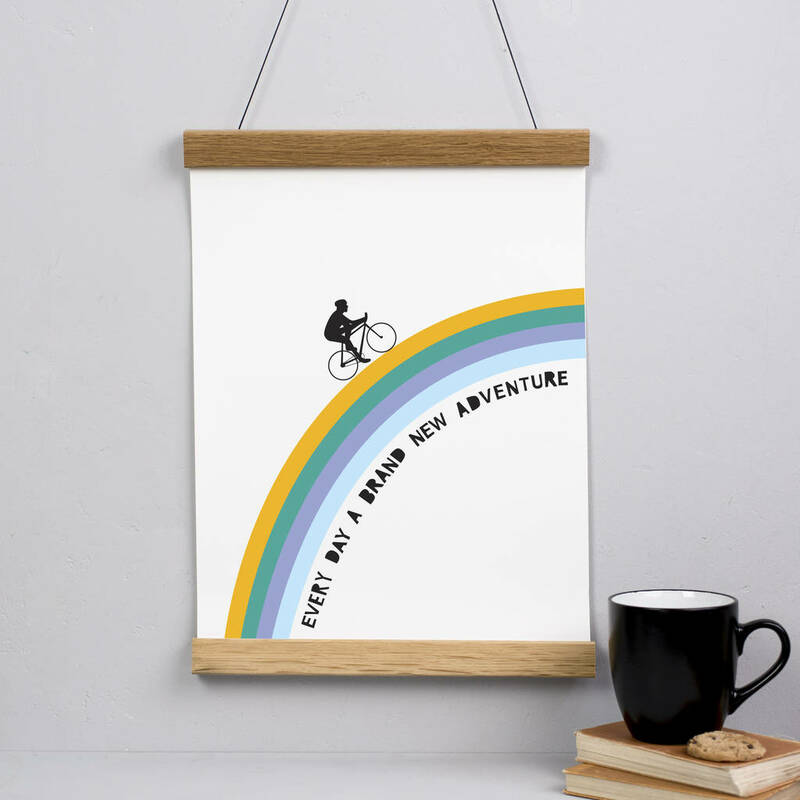 We offer two different framing options, traditional box frames in white, black or oak wood or our magnetic print hanger. 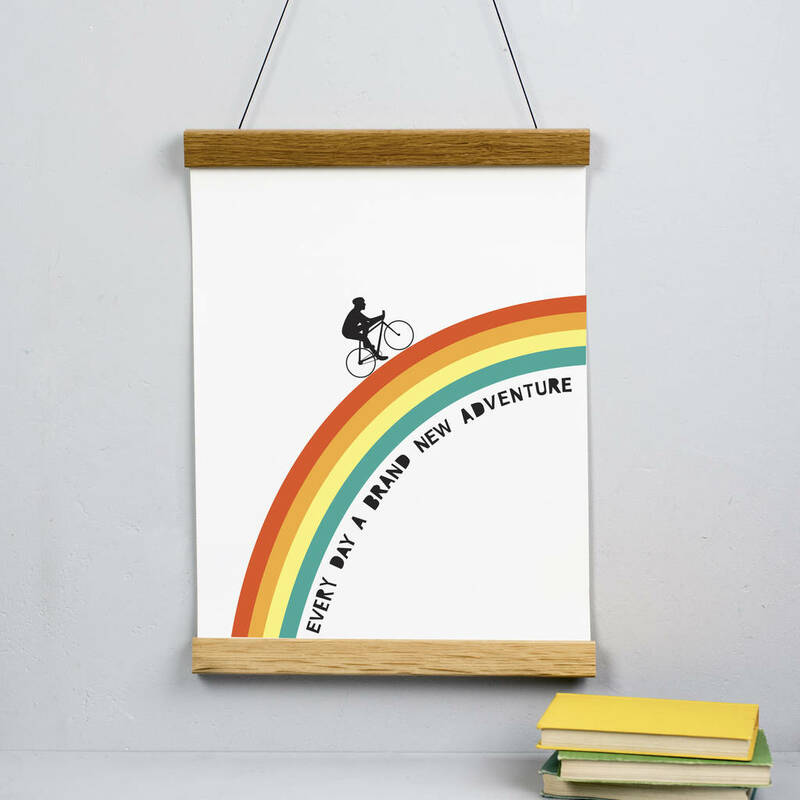 The magnetic hanger is made out of oak wood and has embedded magnets holding the print in place without damaging the print. 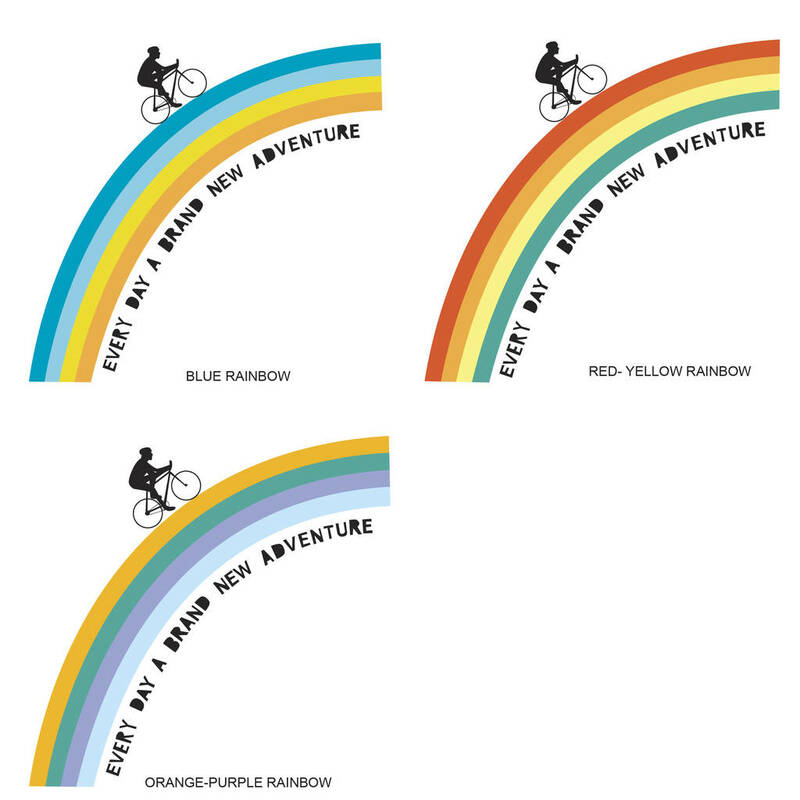 Available in three different colour rainbows, see sample images and select using the drop down menu.